It is loaded by default by /Library/LaunchAgents/com.adobe.AdobeCreativeCloud.plist. that will disable it for your user. Click on the menu bar icon. Click the ellipsis icon at the top-right. Note: The “Preferences” option does not appear until you log in to Creative Cloud. To turn off everything Adobe launches at startup on the Mac you need to both disable its launchd jobs and the Adobe Core Sync extension. For the Adobe Core Sync extension, it is a Finder Sync extension so you can disable it under System Preferences → Extensions as described in this answer - https://apple.stackexchange.com/a/237585/23876. From what I have seen, you will need to repeat this step after each Adobe Creative Cloud upgrade. For the launchd jobs, read on. Note that the following will also disable Adobe automatic update checking. So you will need to check for updates from inside one of the Adobe apps or explicitly run Adobe Create Cloud. Adobe actually puts their launchd job definitions in several places and those places change depending on the Adobe version. Building on @Alan Shutko’s answer, the following will disable them everywhere. You can ignore any “Could not find specified service” warnings. After running, reboot to enjoy an Adobe free launch (until you actually run an Adobe product). As background, launchctl unload -w disables each service in the override database. launchd will follow the override database entry even if the job definition (e.g. /Library/LaunchAgents/com.adobe.AdobeCreativeCloud.plist) is marked as enabled. The override database is on a per user basis. LaunchDaemon jobs are run as root so we use sudo to disable them for the root user. From what I have seen so far, Adobe installs do not update the override database, so you shouldn't need to run the commands again after an Adobe install (unless they introduce another job). Please comment if someone does see Adobe touching the override database. For more information on launchd, the launchd Tutorial is a great overview on launchd jobs. And LaunchControl is a good tool for working with launchd jobs. LaunchControl is a paid app, but the trial version supports viewing them. Be sure to enable tooltips so you can see the override database values. Not the answer you're looking for? Browse other questions tagged adobe login-items . 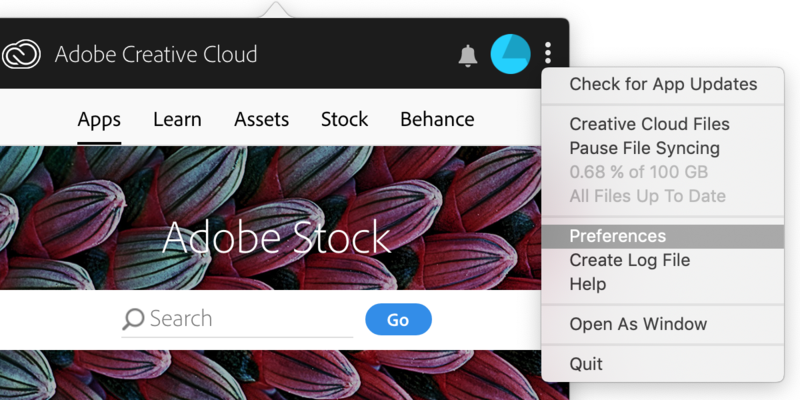 Adobe Creative Cloud: Mac App Alternatives? How can I export a vanilla PDF from Acrobat Reader on Mac?